Eid is fast approaching: the celebrations with family and friends, the mouth-watering food, and of course, the presents! But obviously, that’s not all! On the day of Eid, we remember Allah (SWT) as well, for He blessed us with this beautiful day. On the day of Eid, we remember and praise Allah (SWT) by reciting the Takbir of Eid. Let’s learn the Takbir of Eid and its translation! This activity can be reused as many times as you want, and will help in learning the order of Takbir as well as the translation of each line. 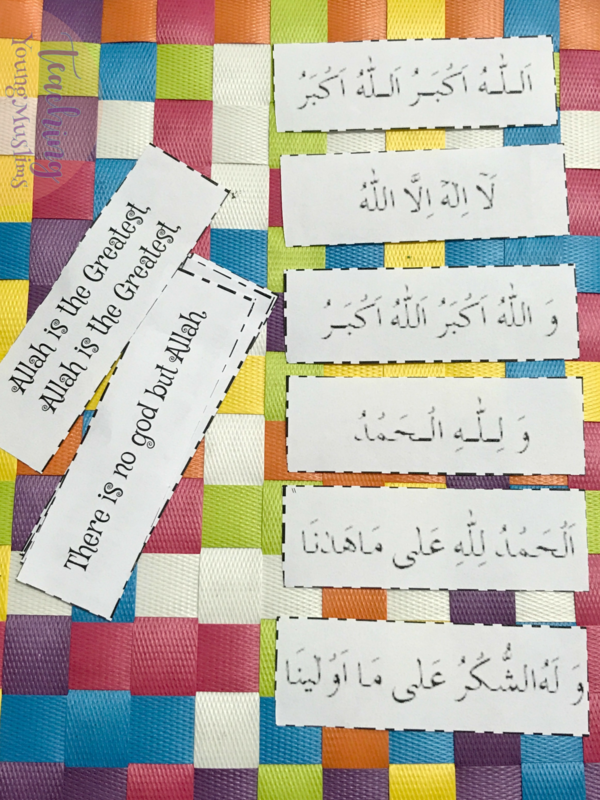 To download this activity, go to the Teaching Young Muslims Resource Library! Enter your name and email address here to receive the password to access these downloads.